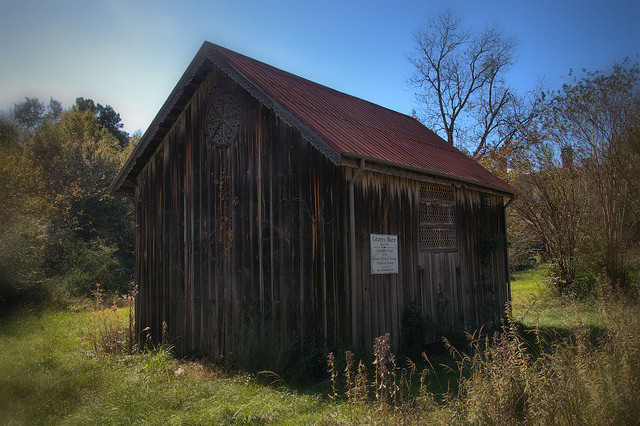 This barn was built by a Mr. Stone for the Graves family around 1890. It’s been a local favorite ever since and is an ongoing restoration project of the Sparta-Hancock County Historical Society. 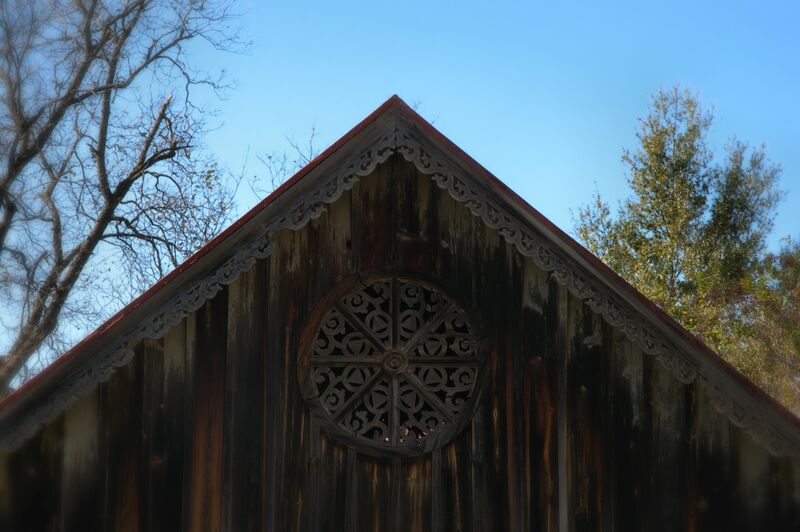 The ornamental scrollwork makes the barn a unique treasure, especially in an urban setting. 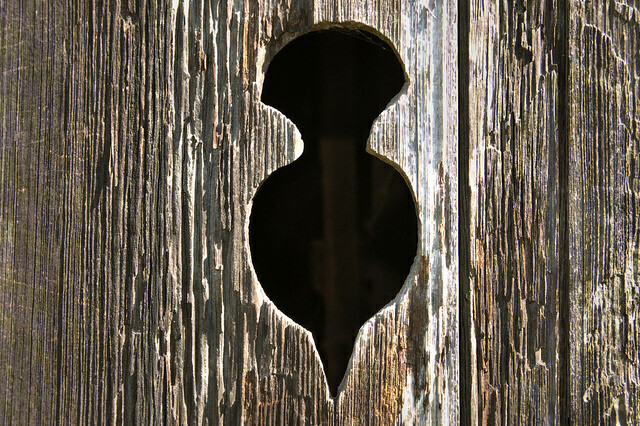 Barns were common in towns a hundred years ago, but to have one of this caliber survive the years is a real wonder. I am concerned about this barn. It seems overgrown lately and it sits in a low spot. There does not appear to be any work in progress. It is such a beauty.